Willow Street Dental was established in 1970. 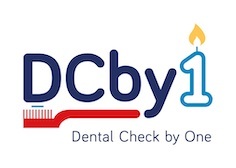 We place a high emphasis on prevention and patient education, building close relationship with our patients.We work with you to help achieve and maintain optimum dental health, employing hygienists whose service we feel are essential within a modern practice. Our practice has a ground floor surgery with level access. Free on street parking for up to 40 mins is available on Willow Street opposite the practice. The nearest car park is Oak Street, a 2 minute walk from the practice where all day parking is just £1. The majority of bus services in Oswestry stop close by to the surgery on Willow Street. 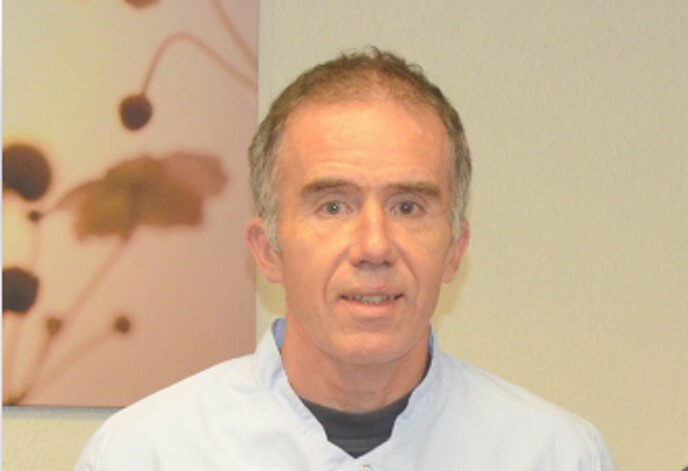 Allen Roberts has been a partner at Willow Street Dental Practice since 1987 after qualifying from Bristol University in 1981. Following graduation he worked in practices in Manchester and Llangollen before returning to Oswestry . A member of the British Dental Association he has completed the Branemark implant foundation course and Straight Wire Orthodontic course. Educated at Oswestry Boys High School Allen lives and is well known within the local community. Allen is married with three children who are all now in further education. As a family they all enjoy a broad range of outdoor sporting and musical activities which keeps keeps them busy at weekends. Shaun recently joined the practice, taking over from his Father Liam. Shaun graduated from Manchester Dental School in 2008 and completed vocational training in North Wales. 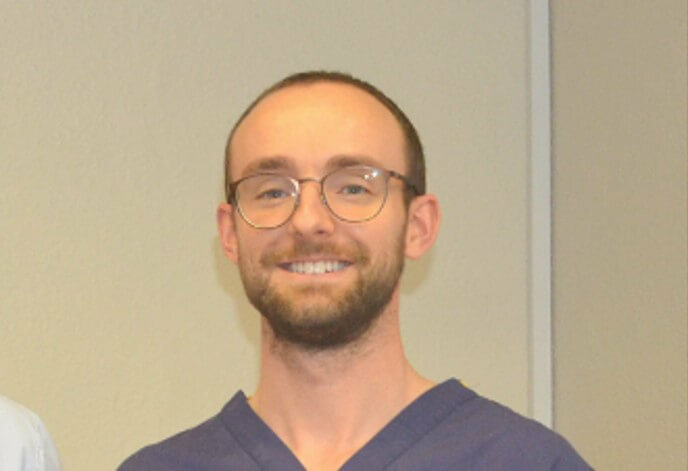 He then worked at Cardiff Dental Hospital, which involved working in specialist restorative clinics and in a community setting treating children, many of whom were anxious of dental treatment. In 2010 he gained membership to the Faculty of Dental Surgeons of the Royal College Physicians and Surgeons of Glasgow. Shaun then spent a year as a Senior House Officer in Maxillofacial Surgery, focussing on oral surgery. In the last 6 years he has been working in general practice. Shaun enjoys spending time keeping fit in the gym or cycling, as well as going for walks with his wife and trying to tire out Dewi the dog. Any remaining free time is spent trying to improve his golf swing! Daisy graduated from Sheffield University in July 2017. She completed an elective in the Philippines which provided her with invaluable experience. Following her graduation she continued to work in a busy practice in Sheffield until recently returning home to Shropshire. Daisy enjoys all aspects of dentistry and is keen to promote the importance of good oral health. Linda qualified from Liverpool Dental Hospital in 1982. 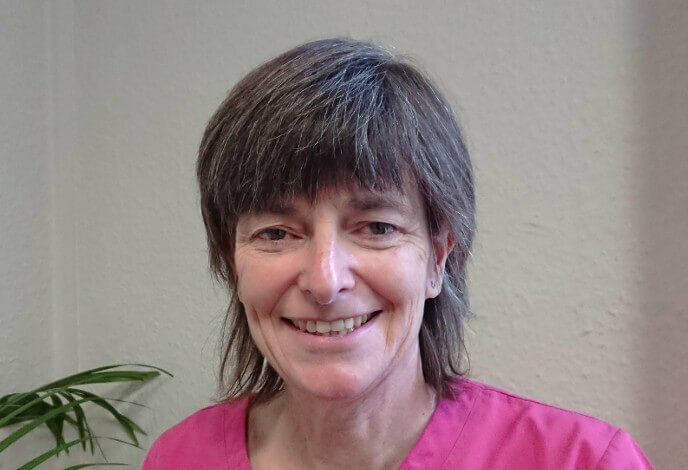 After working in Macclesfield and Telford she returned to her home town of Oswestry and joined Willow Street Dental Practice in 1989. Linda is passionate about improving and maintaining the dental health of her patients in a calm and friendly environment. Linda is married with two daughter and outside of dentistry enjoys playing tennis and is actively involved with the local Girlguides. Nicola, Nikki, Tracey and Harriet are the dental nurses. Angela Machin-Howells is our Practice Manager. All are very friendly and will help you relax whilst having treatment. Claire, Ruth, Jacqui and Barbara are our receptionists and will gladly help with any queries you may have. Hannah has worked in dentistry since 2010 - a qualified Dental Nurse who gained her qualification from the Royal Liverpool Dental Hospital. Hannah then went on to study Oral Health Science at the University of Essex and qualified as a hygienist in 2018.